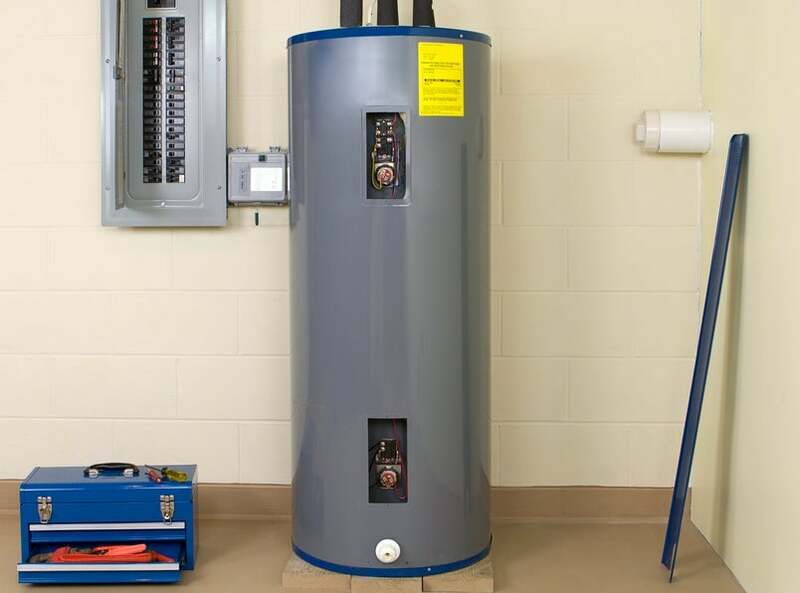 Water Heater BasicsWater heaters come in three broad categories: conventional tank, tankless and hybrids.Storage Tank Water Heaters. These are the most conventional water heaters. An insulated tank keeps water at a preset temperature—usually around 120 degrees—until you open a hot water tap. As you use the water, cold water flows into the tank to be heated. Tank water heaters vary in capacity from 20 to 80 gallons. They are powered by electricity, propane gas, natural gas or oil. In electric units, heating elements located inside the tank heat the water. Gas and oil water heaters contain a combustion chamber located under the holding tank. A flue goes up through the center of the tank so that combustion gases can be vented to the outside.Most gas water heaters rely on the natural draft of a chimney to vent the unit, but some models have a direct vent system where a fan expels the combustion gases. These types do not need a chimney and can be vented through a pipe that runs horizontally through a sidewall. Tankless Water Heaters. Unlike tank models that keep hot water on hand, tankless heaters heat up the water when you call for it, eliminating the wasted energy it takes to keep water at a set temperature. The Department of Energy estimates that for a family that uses about 40 gallons of water a day, a tankless heater is 24 to 34 percent more efficient than a conventional tank model. But the efficiency does drop off considerably if you use a lot of hot water.REMINDER :“These heaters are perfect for some lifestyles, but not all,” .Compared with a full-size tank, tankless heaters are small. They can be hung on a wall, freeing up floor space. They are powered by electricity or gas. Tankless heaters are available in both indoor and outdoor models. Hybrid Water Heaters. This is a catch-all term that includes heat pump water heaters, condensing units and indirect water heaters. Most hybrid technologies were developed to make water heating more energy efficient. *Heat Pump Water Heaters. These use electricity to extract heat from the surrounding air to help heat the water in the tank. A heat pump works like an air-conditioner in reverse. An air conditioner pulls warm room air into the unit, removes the heat from the air, and then dumps heat that it extracted from the room air outside. Rather than dump the heat, a heat pump water heater uses the extracted heat to warm the water. When the heat pump cannot handle the demand, backup electric elements take over. These units are extremely energy efficient. *Condensing Water Heaters. These are available in both tank and tankless models and are powered by gas. These units use some of the hot gases created during the combustion process to heat the water, rather than venting all of the gas to the outside. *Indirect Water Heaters. 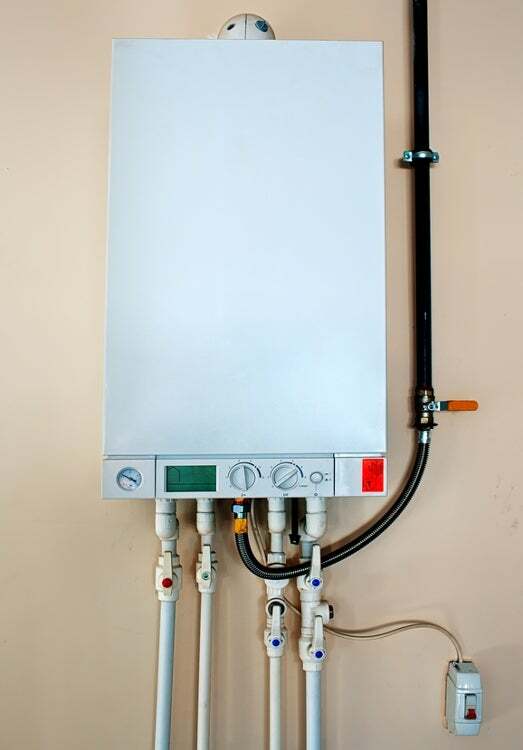 In these systems, the water heater storage tank is connected to a boiler or furnace. The unit heats fluid that is circulated to the storage tank, where a heat exchanger warms the water. *Solar Water Heaters. These circulate fluid through rooftop solar collectors. The fluid heats the water in the storage tank.Smart Water Heaters. 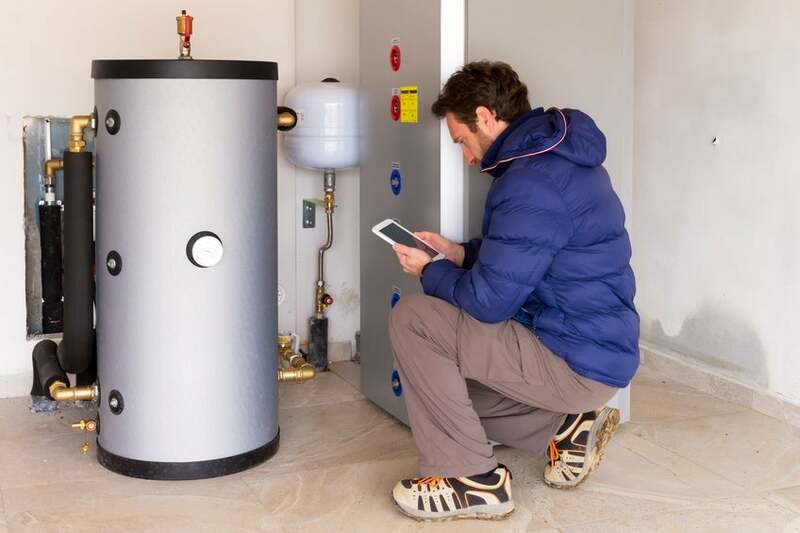 A few manufacturers have developed water heaters with WiFi capability, meaning you can control them through a smartphone or tablet. These products are more sophisticated than standard water heaters. They have electronic controls and thermostats, making them more precise and easier to use. They can also run diagnostics on themselves to spot potential problems.